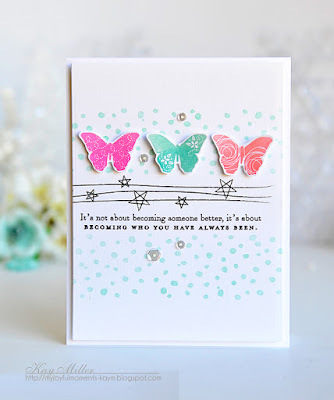 I can never get enough of my all time favorite stamp set and coordinating dies by WPus9 called Wishing You. I'm in love with these adorable bunnies! Such a crisp and clean image to stamp and cut out. So many possibilities with this set. The sentiment was taken from the set Sending My Love by PTI. I sponged the background with Picked Raspberry, Spun Sugar and Milled Lavender distress inks by Tim Holtz. Good morning all! 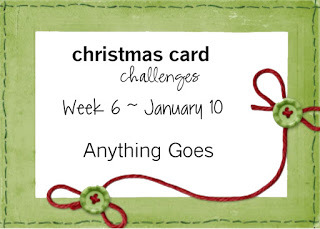 It's time for a new Christmas Card Challenge. 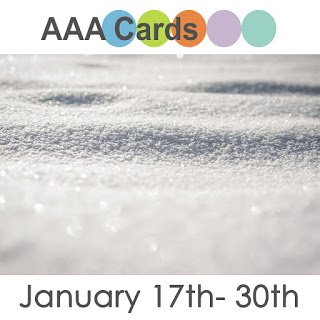 This week it's every ones favorite! Here is my card using a digi from Power Poppy called Glittering Glass Santa. Image was colored with Copics and Wink Of Stella was added to the berries and Santa's coat. You can't see The Wink of Stella very good but it's there. I should have taken a closer view. Also used was the largest die from the Wonky Stitched Rectangle STAX by MFT. 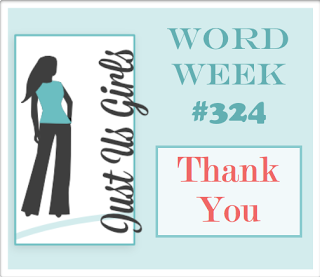 Thanks for stopping by and I hope you play along with us! Good evening all! 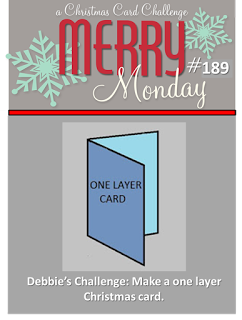 I created this quick and easy one layer card for the Merry Monday Challenge featuring images from the set Scandi Doodle Christmas by WMS. I colored the image with my Copics and added Wink Of Stella to the pear and berries. Hello friends! Well I finally got around to inking up a set I purchased from MFTs last release called Undeniable Chemistry. It also has a coordinating die that you can find here. I love the sentiments that come with this set. The background was smooshed using various inks. Also used was one of MFT's Wonky Stitched Rectangular dies. I've entered my card into the MFT Color Challenge #38 . I have a quick card to share with you all today. 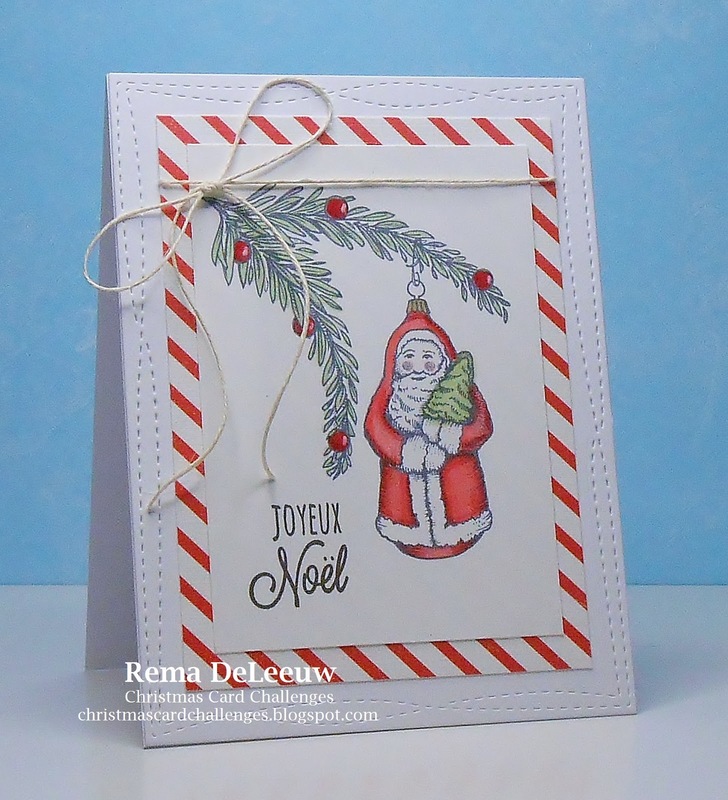 This one features an older stamp by Memory Box called Sleek Penguins. This stamp was produced way before they started making their own dies and clear stamps. The sentiment and large die cut snowflake is from the mini set by PTI called Snowflake Sparkle. Background was sponged with Tumbled Glass distress ink. Water splatters were added. It's a bit hard to see but they are there. Also used was one of the Wonky Rectangular Dies by MFT. Good afternoon! My card today features the new Butterfly Coverplate by Papertrey Ink. The frame of the plate was cut away leaving just the butterflies. I loved the look of Nichole's card and thought I would give it a try. Other supplies used were the Double Ended Banner Die and a stamped sentiment from Confetti Toss. There's some purple hues in this pic if you look closely. I was out of teal! Good morning! So how's your weekend! I've been a bit under the weather these last few days and haven't been stamping as much. Hopefully I'll feel better by Monday. Below are the graphics for this this week's challenge at Christmas Card Challenges. 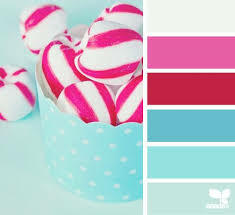 Don't you just love these colors? I kept my card simple using images from Snowflake Sparkle by Papertrey Ink and a sentiment from Bright Baubles by Neat and Tangled. I hope you will stop by and play along. 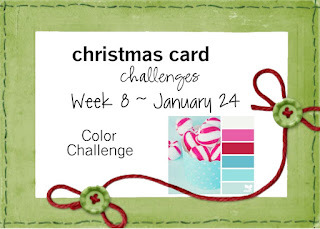 You can find all the details at Christmas Card Challenges. Hello and welcome! 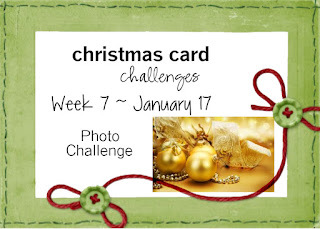 This week at Christmas Card Challenges we have provided the picture below to inspire you. 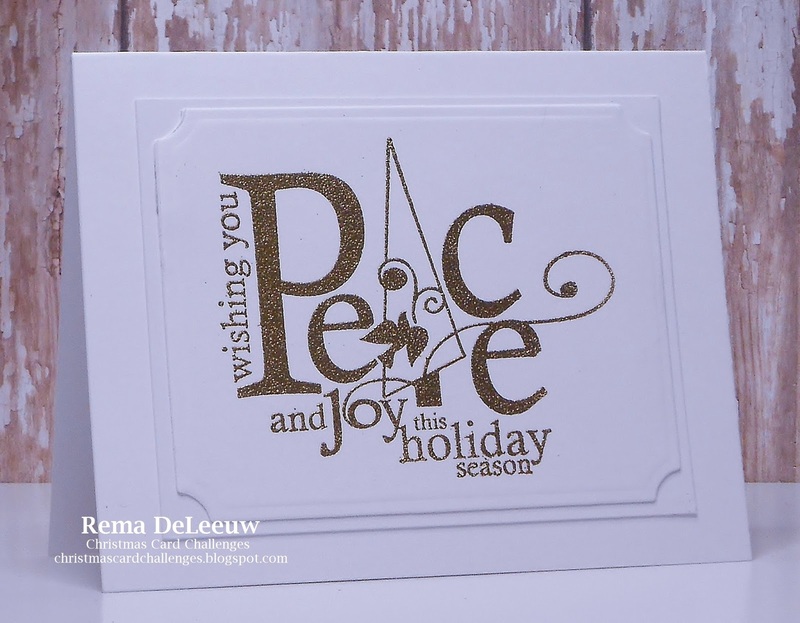 Here is my card using an older Itty Bitty stamp by Unity called Peace and Joy. Image was heat embossed with extra fine embossing powder by Ranger. Stop by and see what the DT has created and play along! My card today features images from the set Birthday Celebration by Simon Says Stamp. If you try to look for it I don't think they carry it anymore. The background was sponged with distress inks. After coloring the balloon and elephant with Prisma Colored Pencils, I carefully fussy cut them out. Thank god for dies! I added Wink of Stella to the balloon to give it a little shimmer. I should of added some to the party hat as well but didn't think of it at the time. 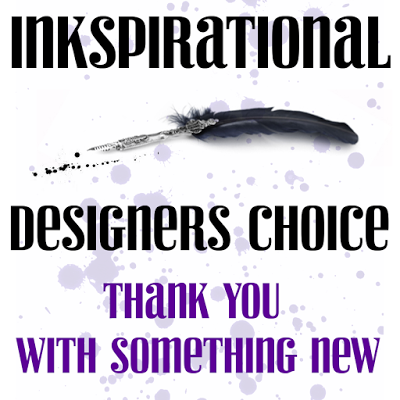 Since this is release week at Papertrey Ink, their normal MIM challenge is being replaced by their monthly Create Along With Us challenge. 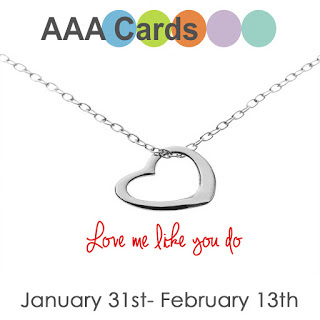 Today I chose Kay's lovely card pictured below to case. Here is my take using several older releases. Dots and Spot, Happy Hearts and Sew Simple Borders mini. 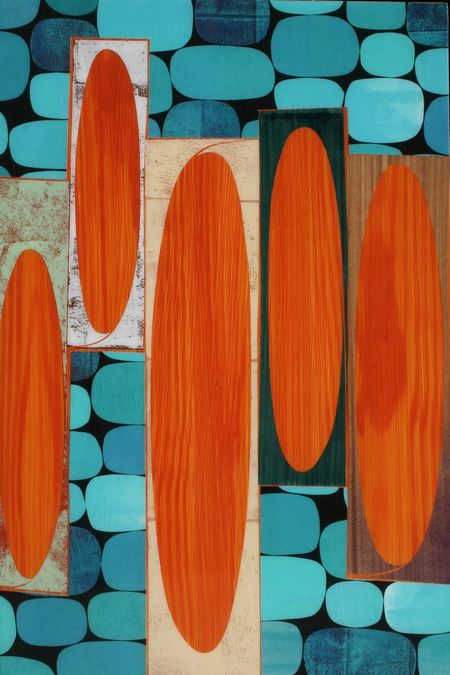 My panel was cut using the largest Wonky Stitched Rectangular die by MFT. Good morning! 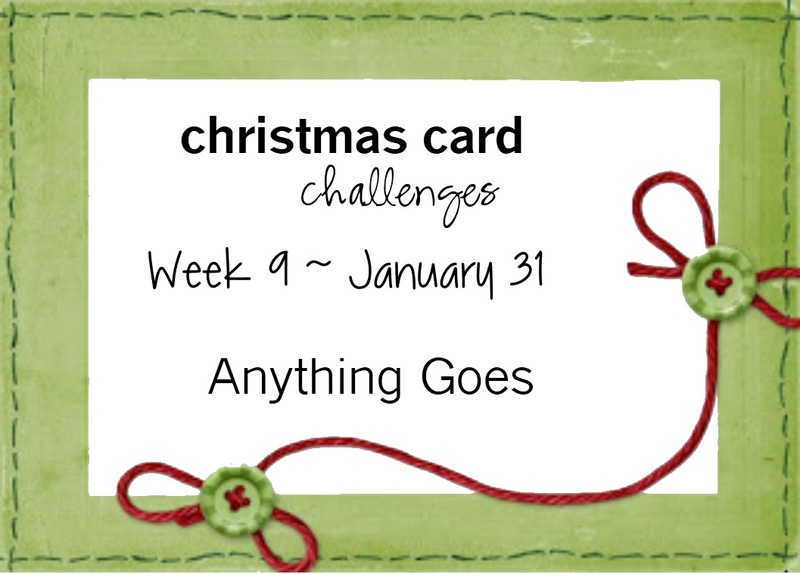 There is a new challenge up today at Christmas Card Challenges and the theme is Anything Goes so stop on by and play along! Here is my card featuring images from several sets by Papertrey Ink. You can find a list of supplies below this post. I got to use the Stitched Primitive hearts for the first time. The large heart was cut from the Nostalgic Notions paper collection and the smaller one was cut from PTI's 100% Sweet Blush felt. I stitched around both hearts and added a sentiment from Love Birds. The adorable die cut bunnies are from Wishing You by WPlus9. The heart was adhered to white cardstock that was embossed with the Center Stage Cover Plate. I trimmed the sides a bit to expose the base of the card. Good morning all! I'm thrilled to be quest designing for Time Out Challenges this week. 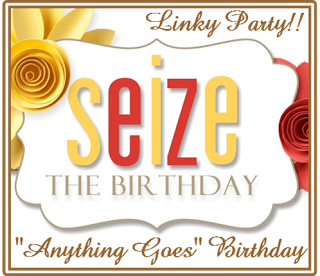 The theme is Birthdays with the optional Technique Twist of adding sponging. For my card today I used the Phase play #4 die and coordinating mini stamp set by Papertrey Ink. I sponged the background with distressed inks by Tim Holtz. The die was cut from Ombre Stripes patterned paper also by PTI. Do stop by and see what the design team has created and play along. Uniko is sponsoring the challenge and are giving away a £15 voucher to their store. I've been eyeing this set called Watercolored Anemones by WPus9 for quite some time now and finally purchased it before the holidays but haven't had time to ink it up till now. It's a gorgeous set with coordinating dies. The sentiment is a die by PTI. I added clear rhinestones and splatters for a finishing touch. Thanks for stopping by today! 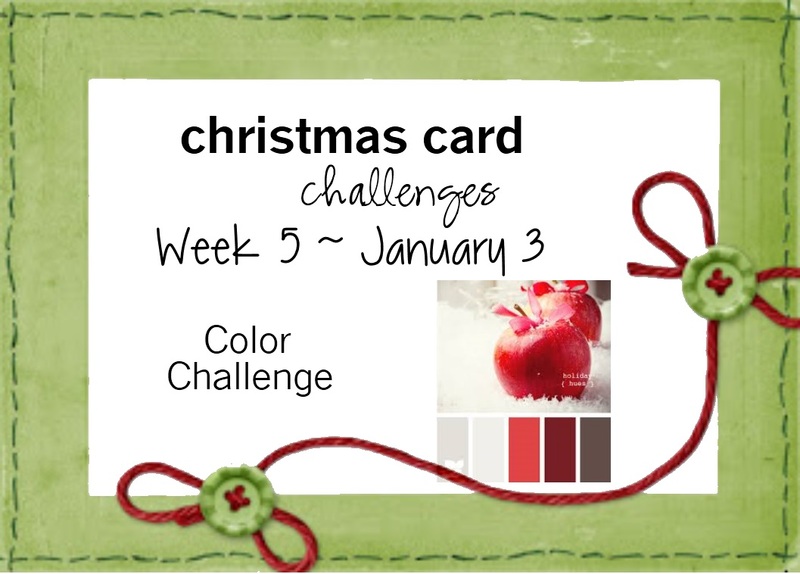 Hello everyone and welcome to the first challenge of the new year! 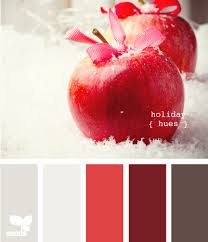 Scroll down to see a better view of the color palette. 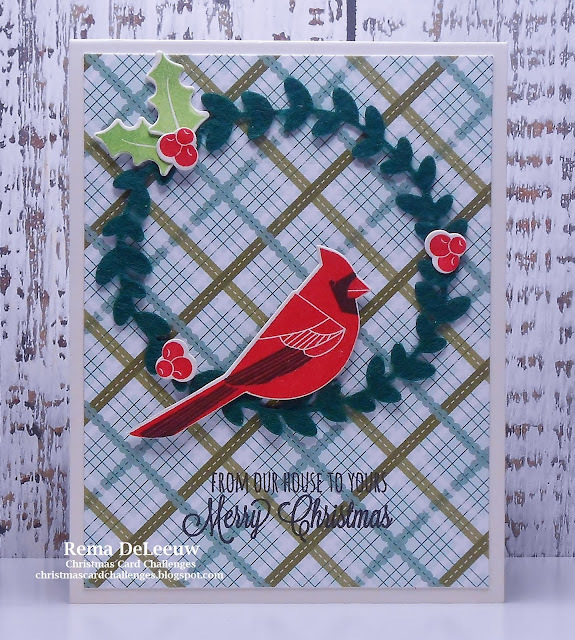 For my card today I used a set called Holiday Home released in 2013 by Papertrey Ink and one of the Stitched Rectangle Wafer Dies by Simon Says Stamp. Click here to check out what the DT has created and play along!